The young New Brunswick native enjoyed the woodworking opportunities available to him in his home town area and for two years worked at the woodworking trade. Taking time to enjoy the winter and summer sports that were part of the village life in Hampton Village, in Kings County. His height at six foot may have helped him as he played on the local Hockey, Softball teams. All these sports as well as swimming kept the future airman in good physical condition. He was a confident and organized student, who was eager to fly. As with many future Moosemen he had some military experience, in Bovaird's case with the Cadet Corps. and had spent two summers at camp with the 8th Princess Louise Hussars. He was discharged from the Hussars to take a course in aero-engines. His experience with the Hussars as well as the training he received on Lewis and Vickers guns served him well with the RCAF at his enlistment on July 21st. 1941 and during his training as an Air Gunner. Almost a year later to the day Sgt. 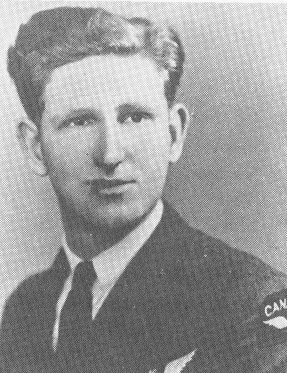 Bovaird was posted overseas and eventually to 419 Squadron. On the night of May 13/14th 1943, while on operations on Bochum the Halifax JD113 he was on was lost. He and the pilot Sgt. Walter Buckwell, Air gunner F/S Alfred Hurteau, and Flight Engineer Frederick Walkerdine were killed. The rest of his crew became POWs.